The QualiÔnibus Satisfaction Survey in Joinville, Brazil. Photo by Mariana Gil/WRI Brasil Sustainable Cities. Improving BRT quality of service requires understanding local mobility needs. 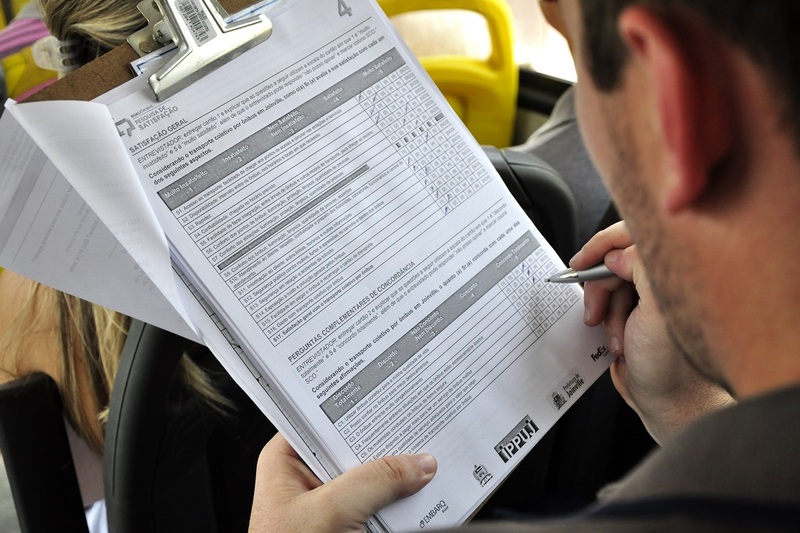 Filling this gap, our Brazil team developed the QualiÔnibus satisfaction survey and worked closely with Rio de Janeiro to conduct the survey and Curitiba to become the first city to take action based on the results of the survey. In both cities, the team trained interviewers and supervisors on how to conduct the survey and analyze the results. Ultimately, the survey helped both cities identify the strengths and weaknesses of the BRT system from the users’ perspective and enabled decision makers to prioritize improvements that will retain and attract more riders. In Curitiba, the survey catalyzed a number of improvements, including greater use of security cameras and police presence, sexual abuse prevention campaigns, improved lighting systems in stations and surrounding areas, renovated station infrastructure and pathways, and an additional dedicated bus lane along a critical and busy section of the system. In Rio, the targeted BRT line, called “TransCarioca,” is one of the most important corridors in the city, spanning over 160 km and serves 230,000 passengers daily. After implementing the recommendations from survey feedback, general satisfaction rates increased from 1.7 to 5.8 (on scale of 0 to 10).